Dedicated to work with your desk phone and softphone. Dedicated to work with your desk phone. Dedicated to work with your softphone. The DW Pro 1 is created with the user in focus and all features are intuitively designed to fit seamlessly into your daily workflow. 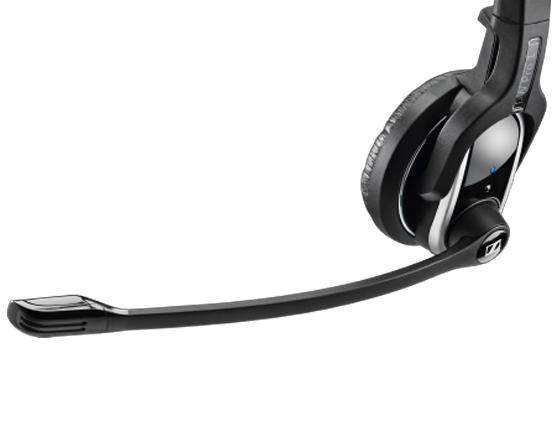 Built-in call handling makes it simple to answer/end, mute or control volume while moving around the office, while features such as left/right wearing and name plate make it easy to personalize your headset. 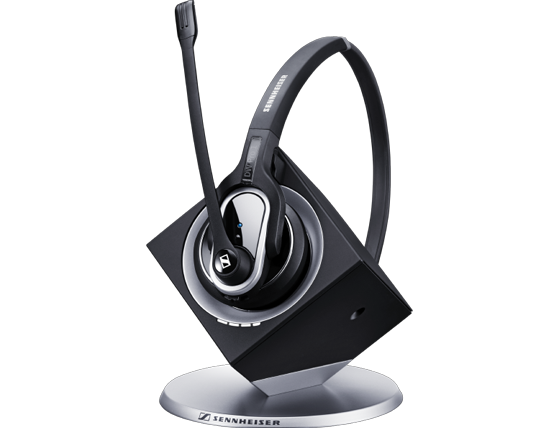 Sennheiser ActiveGard® technology protects users against acoustic injury caused by sudden sound burst on the line. For a natural sound experience. Experience quality sound on the move as you roam around the office. Wireless freedom extends your working range so you’re always in contact with your phone. 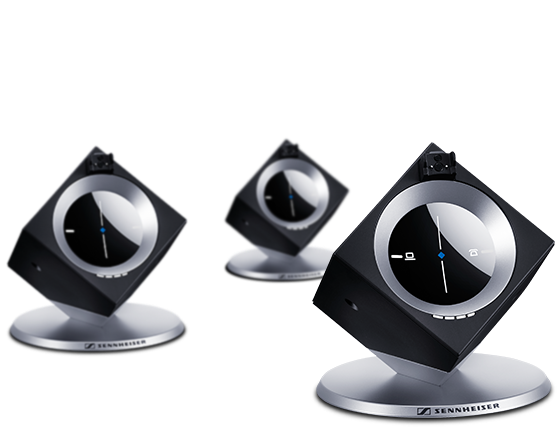 In a typical office building DW Pro 1 gives you a radius of up to 55 m and up to 180 m in line of sight. 8 hours in wideband and 12 hours in narrowband sound mode. Battery Lid for DW Pro 1 and Mobile Business Pro 1 headsets.